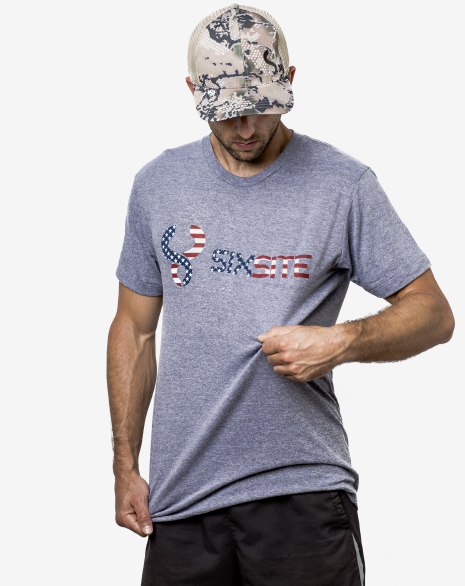 The patriotic SIXSITE T-shirt features a uniquely designed American flag SIXSITE logo. 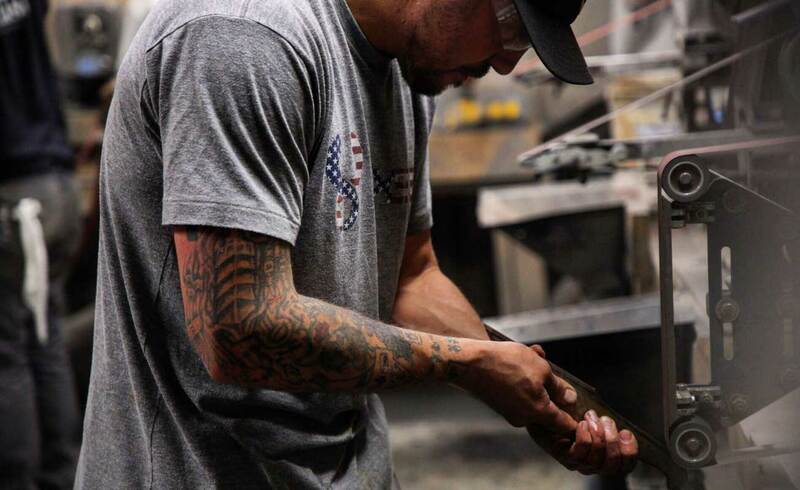 This TriBlend t-shirt is built for durability and function, retaining its shape after each wearing. 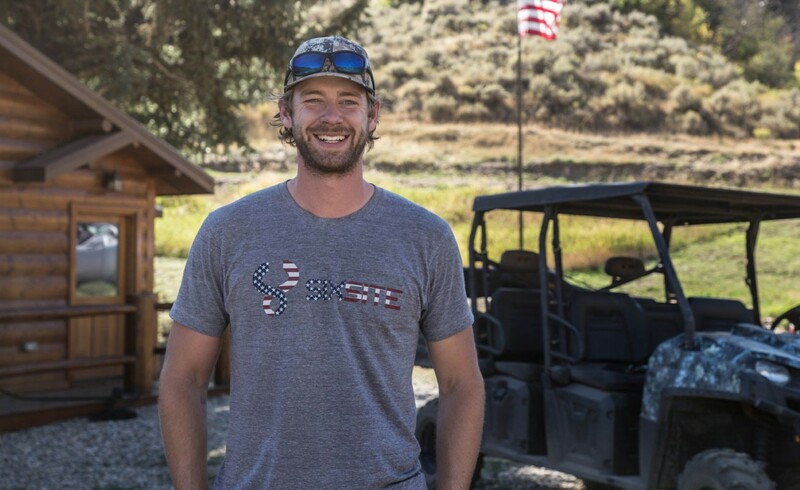 Proudly show off the red, white and blue in comfort. "SIXSITE is built in America, by America, for America."